It would be nice if there was a way for a parent to know with 100% certainty that their child is not going to get involved in drug or alcohol abuse. At the end of the day there is no guarantee that your child or teen won’t experiment with drugs or other addictive behaviours, but in this blog post I have identified some characteristics of families that are contributing factors to family members becoming prone to addiction. It is definitely important to teach them to say “no” to drugs and the various reasons for declining to take drugs, but I have outlined here the kind of environment to create in your family in order to lessen the odds of your kids getting hooked on drugs or other destructive behaviours. Help your kids express and manage their emotions. If a teen does not have the skills to manage their own emotions when they try drugs for the first time it can be easier for them to become hooked than for a person who can manage their emotions well. For example, if your child struggles with anxiety, drinking or drugs may seem to them like a great way to cope at the time. Families where certain emotions aren’t allowed to be expressed, or only certain people can express those emotions have children that are looking for either an outlet for those emotions or a way of managing them. A teen needs to understand that their emotions are their responsibility. For example, if your child expresses anger uncontrollably without consequence or learning anger management techniques the hidden message that the child learns is “I am not responsible for my anger, therefore everyone else is. They need to comply with my wishes.” They expect others to soothe them. When this child becomes a teen and is faced with the temptation to try alcohol or drugs they become hooked quickly because it becomes an avenue with which they manage emotions. Create an environment where they learn to assert themselves. Assertiveness is the ability to express your thoughts and feelings in an open manner while still being respectful of others. People who have difficulty with assertiveness tend to feel overly responsible for other people’s feelings, and therefore cannot stand up for themselves. Inner turmoil is created when they see themselves as the cause of other people’s problems which only serves to lower a person’s self-esteem. This tendency allows them to internalize a lot of negative feelings that go unexpressed, and create resentment. Think about the atmosphere in your family. All families have unspoken rules that govern how they live, and certain family rules contribute to a lack of assertiveness in the individuals in a family. For example, the unspoken family rules may be, “We have to keep the peace at all times” or “Anger and conflict are always bad” or “Everyone has to agree with me” or even “Arguing is always bad and disrespectful”. If one does not learn how to deal with conflict outside of themselves or within the relationship they will have a tendency to internalize that conflict. This internalized conflict can easily make your child prey to the effects of addictive substances. Appropriate discipline of a child allows a child to hear “no”, and at an age appropriate level teaches them the “why” behind the “no”. When a parent is consistent in their discipline, ideally the child begins to internalize the ability to say “no” to themselves, and then develop self control. One of the most important aspects of a person’s psychological development is that ability to say no to one’s self, and the ability to delay immediate gratification for the hope of a greater reward. This ability to delay gratification is so important for a young person to be able to say “no” to using various substances. Avoid overly harsh discipline and remember relationship before rules. Discipline that is harsh and has the intention of punishment over teaching is abusive. It has a tendency to destroy any bond that you may have with your child, and bonding with your child is an essential part of your relationship with them. 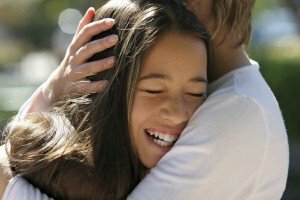 One aspect of your relationship with your child that is essential in order for them to be able to internalize your values is that they need to not see you as a talking head that tells me what to do but a person who gives me guidance in life because you absolutely love them and are looking out for their best interest. In other words, you need to work on your bond with your child, and when you discipline them make sure they know exactly what you are trying to teach them. When discipline is appropriate it teaches your child to have healthy remorse for what they have done wrong as opposed to a sense of shame. Overly harsh discipline communicates to the child not that they have done something wrong, but that they are bad themselves. This sense of shame can often contribute to addictive behaviours as well as depression and anxiety. Perhaps after reading this blog you realize that there are some areas that need to be worked on in your family. Realize that no family is perfect and there is always room for improvement, but there are some important foundational building blocks that need to be established in order to prevent your children from gravitating toward substance abuse. The next step may involve picking up a book on one of the topics or perhaps family counselling involving your teen(s) or even counselling where you learn some new parenting skills. The important thing is that you work on the problems in your home, and don’t settle for less.